Stability and cold-weather gelling: the two biggest problems that biodiesel users have. Exposure to light, heat, air and water accelerates the decomposition of stored biodiesel. So will exposure to any number of metals commonly used in fuel distribution, like copper and brass. When temperatures drop, handling problems rise. 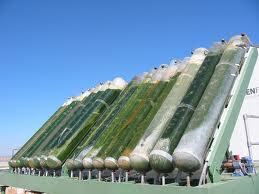 Some biodiesel blends can gel and thicken at temperatures as high as 50 degrees F depending on feedstock. 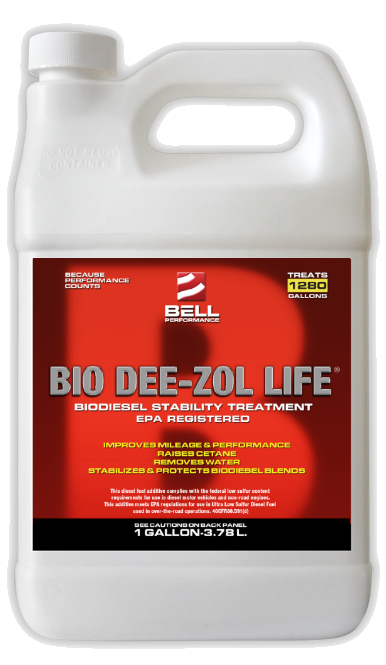 Bell Performance's Bio Dee-Zol formulations solve these major issues with commercial-grade products at competitive costs for the downstream producer and distributor. Keeps biodiesel fuels fresh and preserves their quality in storage. 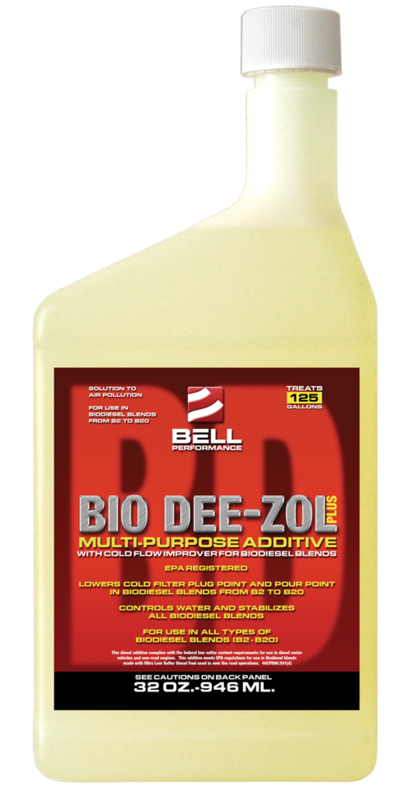 Proprietary blend of polymers that keep both the biodiesel and the diesel portions of fuel blends flowing free when the weather cools. Biodiesel Producers And Distributors Rely On Commercial-Grade Downstream Solutions From Bell Performance To Keep Biodiesel Fuels On-Spec And Ready To Meet Their Customer's Needs.